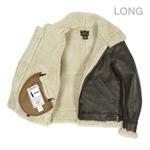 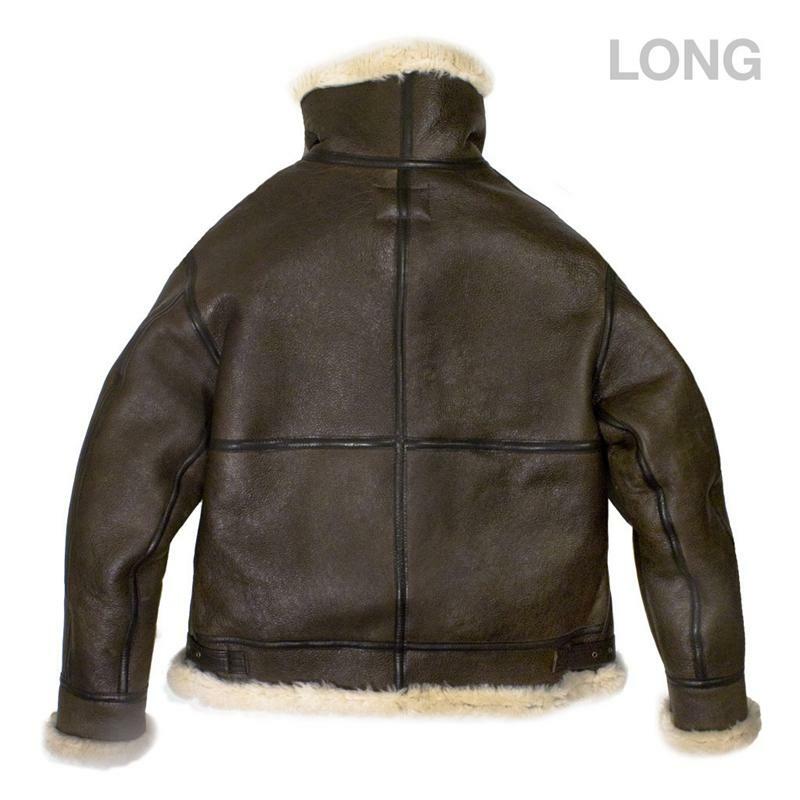 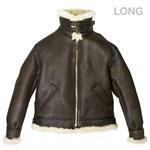 The Authentic B-3 Bomber long Jacket was originally designed for both open cockpit and high altitude flying in the 1930s. 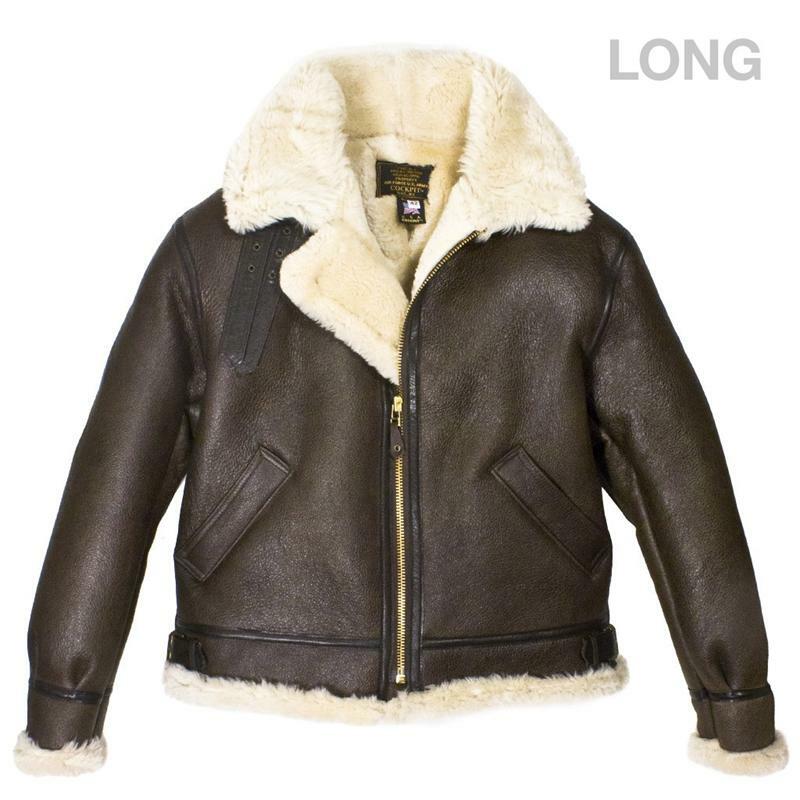 It has been made from thick supple shearling skins with a nappa leather finished exterior. 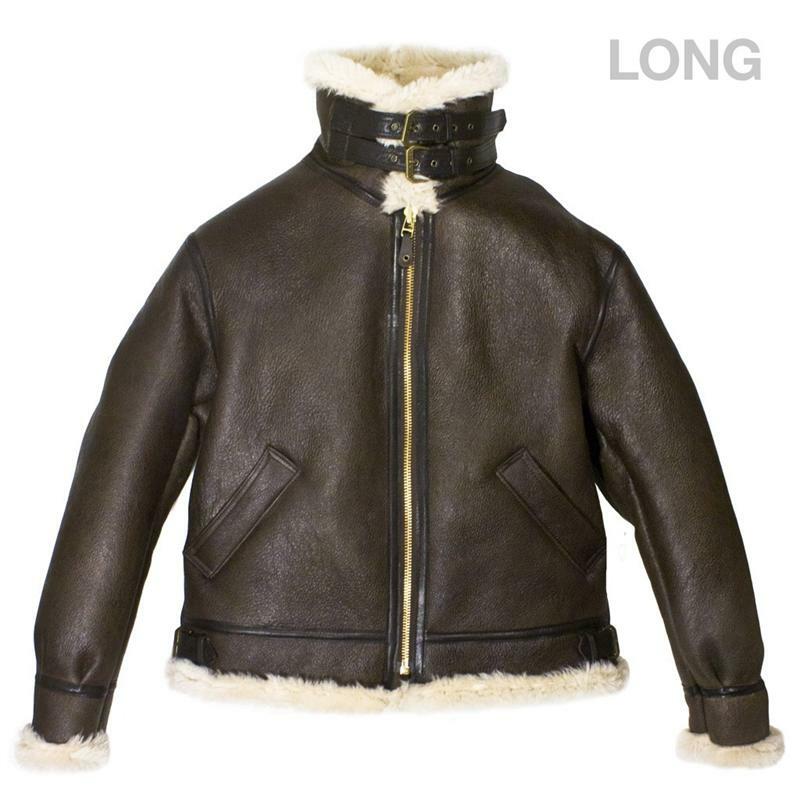 The B-3 Bomber flaunts leather welted seams and genuine custom made metal buckles built for rugged usage. 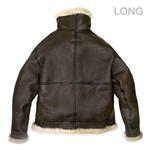 It is available in regular and long sizes.